Choose from three or four bedroom modern luxury apartments in this premier accommodation, close to town and Belongil Beach. 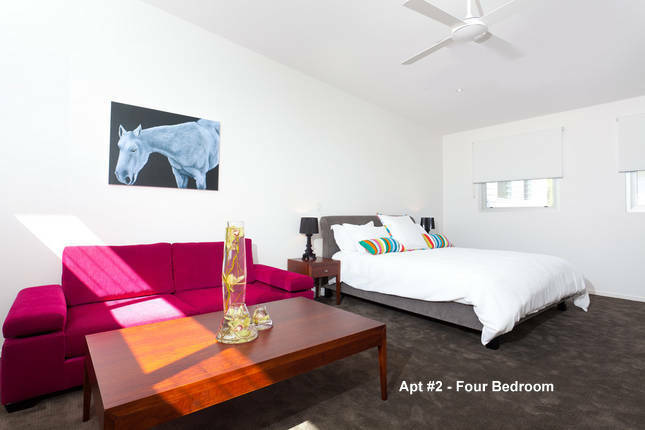 The Clique offer ultra modern apartments located in a quiet area of Byron close to Belongil Beach and town centre. There are three stunning apartments to choose from; one four bedroom and two three bedroom all offering complete privacy. The apartments have been designed with generous floor plans, high ceilings, tall doorways, top of the range appliances and exquisite decor throughout. Each apartment has WiFi and Foxtel and there is air conditioning in the living areas. Along with the attention to detail of the luxury interiors, all apartments have spacious outdoor living spaces overlooking the garden and private plunge pools. The three bedroom apartments have an ensuite and a main bathroom, the four bedroom has an ensuite, main bathroom and powder room. 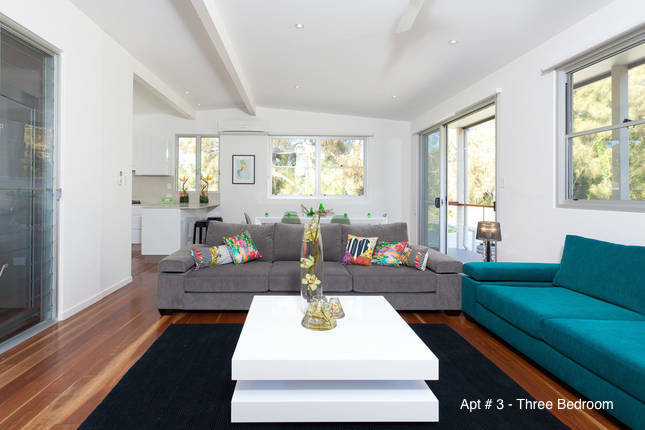 Close to Byron's stunning coastline The Clique offers luxury accommodation for an unforgettable holiday in Byron. Experience the unique atmosphere of Byron’s town centre. Close to everything Byron has to offer including a variety of restaurants, cafes and boutiques right on your doorstep. The pristine beaches of Byron Bay are only a short leisurely stroll from your holiday accommodation. 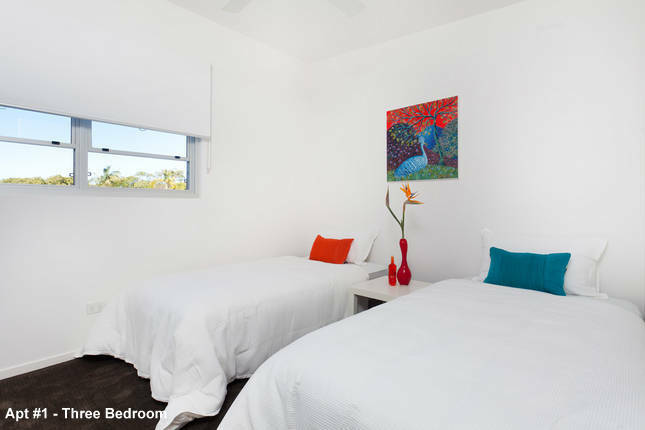 The Clique apartments are a 5 min walk to Belongil Beach and 10 mins walk to town centre.